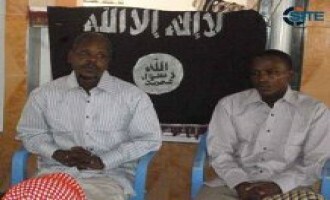 The Shabaab al-Mujahideen Movement claimed credit for the assassination of two men working for the Somali government, one a private doctor and nephew of Somali President Hassan Sheikh Mohamoud, and the other a lawyer in the Justice Ministry. 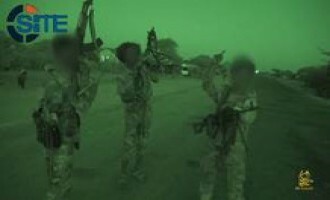 The Shabaab al-Mujahideen Movement vowed to receive British troops with gunfire upon their arrival to Somalia, and published photos of the attack on a Somali base in Yaaqbariweyne on September 18. 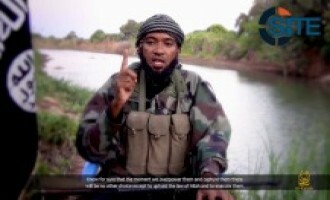 As part of a series of videos from the Islamic State (IS) courting fighters in the Shabaab al-Mujahideen Movement in Somalia to pledge to IS leader Abu Bakr al-Baghdadi, the group’s ar-Raqqah Province released a production featuring an English-speaking Somali fighter. 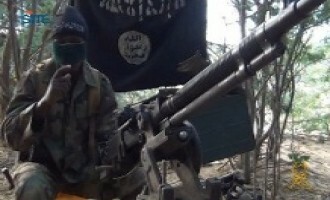 The Shabaab al-Mujahideen Movement, al-Qaeda’s branch in Somalia, released a video on the June 26, 2015, attack at an AMISOM base in Lego village in Somalia’s Lower Shabelle region. The Shabaab al-Mujahideen Movement published a photo report on the September 1, 2015, raid at an African Union (AU) military base in Janale, where it claimed killing over 50 Ugandan soldiers. Accounts on Twitter promoted jihad in Somalia by entering a conversation surrounding the “#SomaliYouthAgainstExtremism” hashtag, which was created to speak out against extremism in the country. 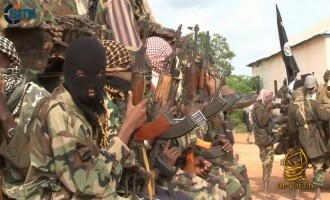 The Shabaab al-Mujahideen Movement claimed killing over 100 Somali government “militia” elements in a suicide bombing at their training center in Kismayo. 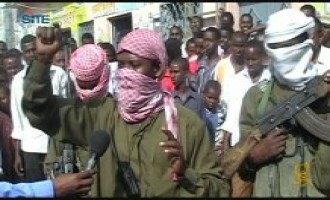 The Shabaab al-Mujahideen Movement reportedly took over a town in Kenya’s Lamu East and lectured people and distributed propaganda before withdrawing, and also seized control over two towns in central Somalia. The Shabaab al-Mujahideen Movement released a video of a Swahili lecture by a group official, Ahmad Iman Ali, calling on Muslims to immigrate to Somalia for jihad, and claiming that it has an army in Kenya. 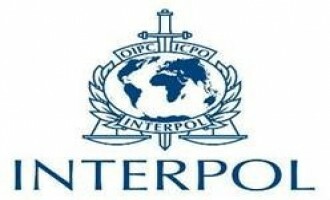 The Shabaab al-Mujahideen Movement reportedly assassinated an Interpol officer in the Somali capital, Mogadishu, and also killed a Somali government official in the city of Janale in Lower Shabelle region. 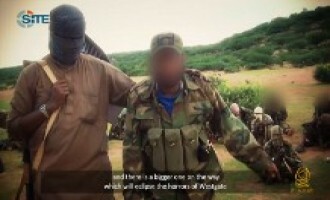 The Shabaab al-Mujahideen Movement released a video showing the repentance of men it identified as Kenyan forces in Pandanguo, a settlement in Kenya’s Coast Province, and featuring footage of group official Ahmad Iman Ali warning Muslims against assisting the enemy. The Shabaab al-Mujahideen Movement claimed credit for a car bomb attack at the Jazeera Palace Hotel in Mogadishu on July 26, 2015. 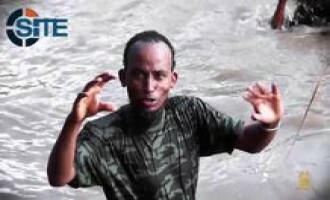 The Shabaab al-Mujahideen Movement, al-Qaeda’s branch in Somalia, released a video of fighters ambushing and seizing vehicles of non-Muslims in Kenya’s Lamu County, and featuring sailors rescued in Raaga Eele promoting the group and expressing their thanks to the fighters. 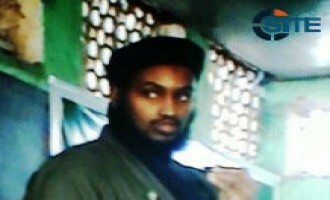 Users on Twitter have made unconfirmed claims that Mohamed Abdullahi Hassan, an American jihadi fighter in Somalia going by the alias “Mujahid Miski,” had died. The Shabaab al-Mujahideen Movement, al-Qaeda’s branch in Somalia, released as a “gift” for Eid al-Fitr, a video on the deadly attack on June 11-12, 2015, on Ethiopian troops near the town of Jameeco in Bay region. 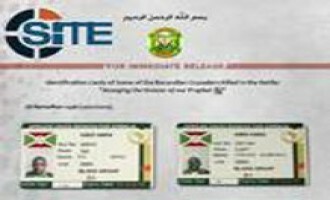 The Shabaab al-Mujahideen Movement, al-Qaeda’s branch in Somalia, released a list of names and ranks of 52 Burundian soldiers killed in the June 26, 2015, attack in Lego, and provided photos of their identification cards. 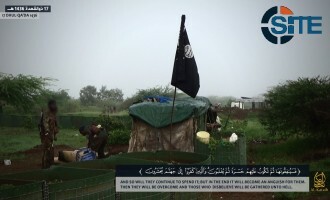 The Shabaab al-Mujahideen Movement, al-Qaeda’s branch in Somalia, released a video on the April 19, 2015, attack on AMISOM forces near Lego in Lower Shabelle region, and threatened France and others who it finds to have insulted the Prophet Muhammad. Islamic State (IS) fighters and supporters have celebrated reports that leaders from the Shabaab al-Mujahideen Movement were considering pledging allegiance to IS. The Shabaab al-Mujahideen Movement claimed killing nearly twenty Christian quarry workers in the Mandera County of Kenya. 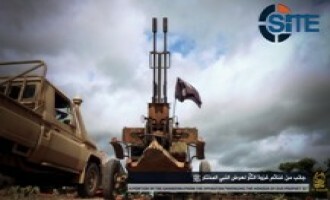 The Shabaab al-Mujahideen Movement published a photo report on the June 26, 2015, attack at an AMISOM base in Lego village in Somalia’s Lower Shabelle region, showing the corpses of Burundian troops and weapons and gear taken as spoils. The Shabaab al-Mujahideen Movement, al-Qaeda’s branch in Somalia, issued a statement on the deadly attack at an AMISOM base in Lego village, announcing that it came in revenge for the honor of the Prophet Muhammad. 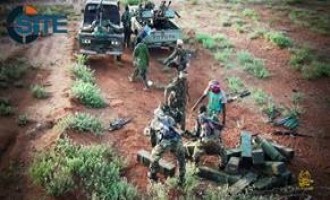 The Shabaab al-Mujahideen Movement claimed seizing a military base of AMISOM forces in the area of Lego in Somalia’s Lower Shabelle region, and killing more than 50 Burundians. The Shabaab al-Mujahideen Movement attacked a base near the Somali National Intelligence and Security in Mogadishu with a suicide bombing and raid, and ambushed Kenyan forces in Lamu. 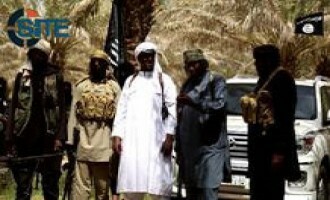 The Shabaab al-Mujahideen Movement, al-Qaeda’s branch in Somalia, issued a eulogy for al-Qaeda in the Aabian Peninsula (AQAP) leader Abu Baseer Nasser al-Wuhayshi, acknowledging the slain official as a man who guided them. 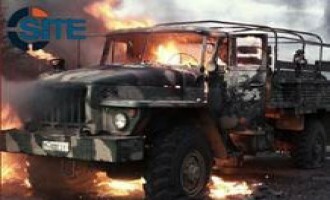 The Shabaab al-Mujahideen Movement, al-Qaeda’s branch in Somalia, claimed killing more than 60 Ethiopian troops near the town of Jameeco, and provided photos of burning vehicles and corpses. 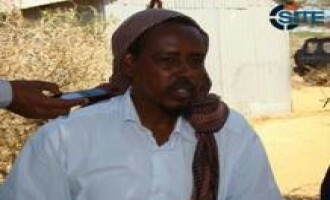 The Shabaab al-Mujahideen Movement announced that Hassan Abdullah Hersi Turki, a prominent official in the group, died after a “long struggle with a chronic illness” in the village of Hargeisa Yarey in southern Somalia. The Shabaab al-Mujahideen Movement claimed killing more than 25 Kenyan policemen in two attacks near the Kenyan town of Garissa, and publicly executed four spies, two of whom worked for Kenyan intelligence and the other two for Somali intelligence. Shahada News Agency, a Somalia-focused jihadi media group, reported on the claim and the execution in two messages posted on Twitter on May 26, 2015. Furat Province, a division of the Islamic State (IS) in Iraq, released a video of Somali fighters calling on Muslims in Somalia to join the group and support its “Caliphate”. 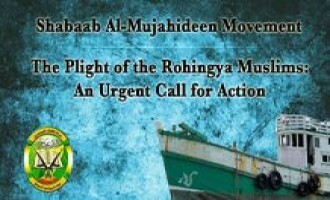 The Shabaab al-Mujahideen Movement, al-Qaeda’s branch in Somalia, addressed a message to Muslims in Southeast Asia urging them to “mobilize men, money and resources” to help their Rohingya brethren, both those stranded at sea and those facing suffering in Myanmar (Burma). 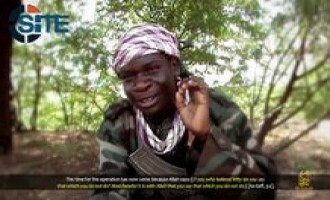 The Shabaab al-Mujahideen Movement, al-Qaeda’s branch in Syria, released a posthumous video will of a suicide bomber involved in the July 2010 attack in Kampala, Uganda, threatening strikes in Burundi and Kenya, and urging Muslims to come to the battlefield. A Somali jihadist reported that accused spy for the American intelligence who was involved in a U.S. drone killing Sahl al-Ansari, a commander in the Shabaab al-Mujahideen Movement, was killed. 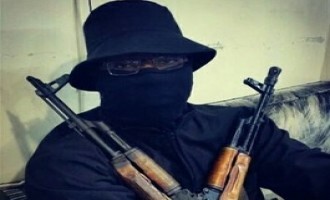 Shahada News Agency, a Somalia-focused jihadi media group, reported that the Shabaab al-Mujahideen Movement ambushed Kenyan troops in Liboi near the Kenya-Somalia border, and assassinated the deputy mayor of Wadajir district of Mogadishu. The Shabaab al-Mujahideen Movement, al-Qaeda’s branch in Somalia, released the fifth episode in its “In Remembrance” series, showing fighters mourning over the dead body of a trainer and commander identified as “Ramzi”. 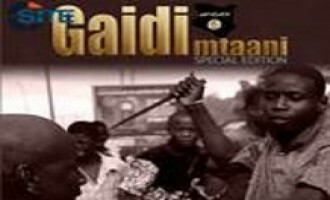 The Shabaab al-Mujahideen Movement, al-Qaeda’s branch in Somalia, released a video on the July 2014 attack on the Gamba police station in Kenya. The Shabaab al-Mujahideen Movement, al-Qaeda’s branch in Somalia, claimed credit for a deadly attack on an education ministry building in Mogadishu. The Shabaab al-Mujahideen Movement issued a statement on the deadly attack at Garissa University College in Kenya in which 147 people were killed, calling it “retaliation” on behalf of Muslims, and warning the Kenyan government and public to prepare for more bloodshed. Al-Qaeda in the Arabian Peninsula (AQAP) published a biography of a fighter who fought in Afghanistan, Bosnia, and Somalia before being killed in a U.S. airstrike in Yemen. The Shabaab al-Mujahideen Movement, al-Qaeda’s branch in Somalia, claimed credit for the raid on the Maka al-Mukarama Hotel in the capital, Mogadishu, and threatened additional attacks, declaring that there will be no “safe haven” for the enemy in the country. The Shabaab al-Mujahideen Movement, al-Qaeda’s branch in Somalia, released the second episode in its “In Remembrance” series, showing similarities between two attacks it mounted in 2009 and 2014. The Shabaab al-Mujahideen Movement, al-Qaeda’s branch in Somalia, released a video on the December 6, 2014, assassination of the mayor of Burhakaba in Bay region, and attacks on Somali and “Crusader” forces in Lower Shabelle. 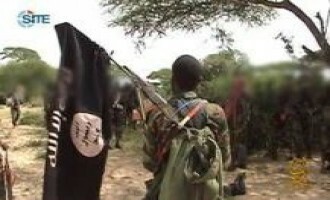 The Shabaab al-Mujahideen Movement, al-Qaeda’s branch in Somalia, reportedly seized temporary control over Wanlaweyn district in Lower Shabelle region and freed all inmates from the prisons. 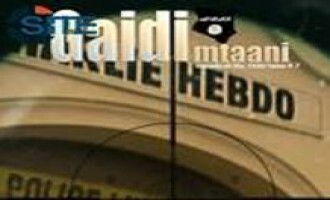 The publishers of "Gaidi Mtaani" (Terrorism Street), a pro-Shabaab magazine, released the seventh issue, promoting the attacks on Charlie Hebdo's offices in Paris and the Westgate Mall in Nairobi, and featuring an article by a foreign fighter inciting Muslims to leave life on the streets and the "'hood" to an "eternal paradise". 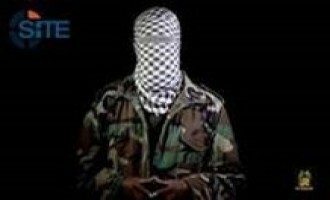 The Shabaab al-Mujahideen Movement, al-Qaeda’s branch in Somalia, released a documentary-style video on the September 2013 raid at the Westgate Mall in Nairobi, Kenya, and threatened that “Westgate was just the beginning, and with all hopes of peace forever dashed, Kenya's darkest hour is yet to come”. The Shabaab al-Mujahideen Movement, al-Qaeda’s branch in Somalia, claimed credit for the deadly car bombings at the Central Hotel in the capital, Mogadishu. The Shabaab al-Mujahideen Movement, al-Qaeda’s branch in Somalia, claimed assassinating four officers in the Somali government’s Aviation Commission, and an officer in the International Planning and Cooperation Ministry. 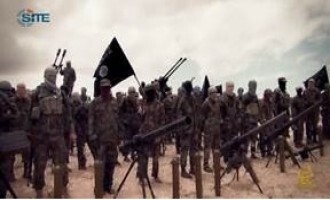 The Shabaab al-Mujahideen Movement, al-Qaeda's branch in Somalia, claimed killing 27 elements from a "militias of the Puntland Administration" in an ambush in the city of Bosaso in the north of the country. The Shabaab al-Mujahideen Movement released a video portraying the life of fighters in the battlefield as positive, in an attempt to dispel the thought that their lives are miserable and the enemy is successful against them. 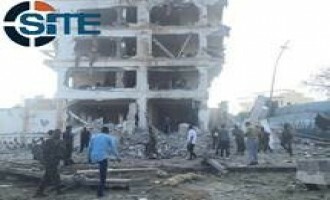 The Shabaab al-Mujahideen Movement claimed credit for the car bombing outside the SYL Hotel in the Somali capital, Mogadishu, and stated that it targeted a security meeting attended by Somali officials and foreign elements. An alleged American with the Shabaab al-Mujahideen Movement, al-Qaeda's branch in Somalia, claimed a decrease in incoming migrant fighters in wake of the Syrian conflict and encouraged fighters to prioritize Syria over Somalia when leaving for jihad. An alleged British fighter and prominent Islamic State (IS) recruiter answered a question regarding migration to Somalia by encouraging jihadists to travel to Syria instead. The Shabaab al-Mujahideen Movement claimed credit for an explosion in the Somali capital, Mogadishu, that killed the mayor of Afgoye, Ali Addow, and two of his bodyguards, a vowed more attacks on government officials. The Shabaab al-Mujahideen Movement, al-Qaeda's branch in Somalia, released a video on its suicide raids at the Somali Supreme Court complex in April 2013 and the Somali parliament building in May 2014. The Shabaab al-Mujahideen Movement released a video on its suicide raids at the Somali Supreme Court complex in April 2013 and the Somali parliament building in May 2014, featuring clips of American and Canadian fighters. 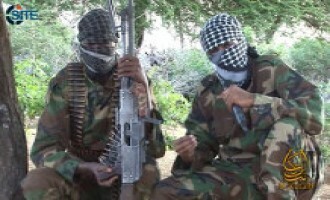 The Shabaab al-Mujahideen Movement reportedly executed four spies in Baardheere district in Somalia's Gedo region, two of whom allegedly worked for the CIA and were separately involved in the planning for a drone strike on a Shabaab leader, and the U.S. Navy SEAL raid in Barawe in October 2013. 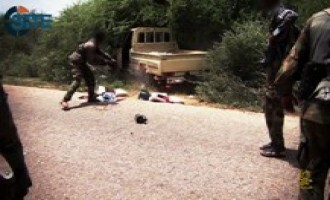 The Shabaab al-Mujahideen Movement released a video on its fighters capturing Kudhaa island in Somalia's Lower Juba region in November 2014, including a scene with the decapitated head of a pro-government element. The Shabaab al-Mujahideen Movement claimed credit for the car bombing in the Somali capital, Mogadishu, which targeted U.S.-trained Somali intelligence forces known as “Alpha Group”. The Shabaab al-Mujahideen Movement declared that its raid on the AMISOM Halane military base near Mogadishu International Airport came in revenge for the killing of its former leader Mukhtar Abu al-Zubeir (AKA Ahmed Abdi Godane). The Shabaab al-Mujahideen Movement claimed it shot down a Kenyan military aircraft in the city of Kismayo in Somalia’s Lower Juba region, and also claimed wounding a Federal Member of Parliament and killing other individuals in a drive-by shooting in Mogadishu. The Shabaab al-Mujahideen Movement released a video of its fighters allegedly capturing Deynunay village in Somalia’s Bay region. The Shabaab al-Mujahideen Movement claimed credit for an explosion that struck a UN convoy in the Somali capital, Mogadishu, and also claimed the killing of 37 Christians near Mandera, on the Kenya-Somalia border. 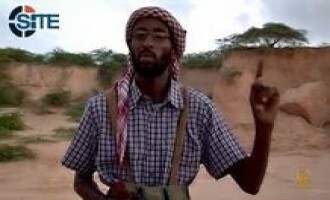 In a eulogy for former Shabaab al-Mujahideen Movement leader Mukhtar Abu al-Zubeir, the group's spokesman, Ali Mahmoud Raji (AKA Ali Dheere) called upon Muslims in Somalia and East Africa to take revenge against America. The publishers of "Gaidi Mtaani" (Terrorism Street), a pro-Shabaab magazine, released the fifth issue, consisting solely of the English and Swahili transcripts of the final message from former Shabaab al-Mujahideen Movement leader Mukhtar Abu al-Zubeir. 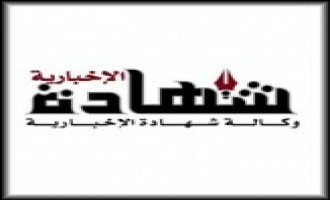 In the second section of the interview by al-Malahem Media Foundation, the media arm of al-Qaeda in the Arabian Peninsula (AQAP), with Nasser bin Ali al-Ansi, the group official discussed al-Qaeda's ongoing war with the U.S., the killing of former Shabaab al-Mujahideen Movement leader Mukhtar Abu al-Zubeir, and the creation of al-Qaeda in the Indian Subcontinent (AQIS). The Shabaab al-Mujahideen Movement, released a video of it fighters raiding the town of Mubarak in Lower Shabelle province and then "cleansing it from the apostates". Al-Qaeda in the Indian Subcontinent (AQIS) offered condolences for the killing of Mukhtar Abu al-Zubeir (AKA Ahmed Abdi Godane), the former leader of al-Qaeda's branch in Somalia, the Shabaab al-Mujahideen Movement, and reminded Somali fighters that the U.S. it its primary enemy and must be fought. The Shabaab al-Mujahideen Movement released a posthumous audio lecture from its former leader, Mukhtar Abu al-Zubeir, promoting martyrdom in the battlefield. The Shabaab al-Mujahideen Movement, al-Qaeda's branch in Somalia, released a video expressing support for Muslims in the Central African Republic (CAR), and featuring a raid by its fighters on a Somali military headquarters in the city of Janale in Lower Shabelle province. The Shabaab al-Mujahideen Movement released the third episode in its series “They are the Enemies, So Beware of Them,” featuring the confession of a spy involved in the French raid to free Denis Allex in January 2013, and a drone strike on an official. 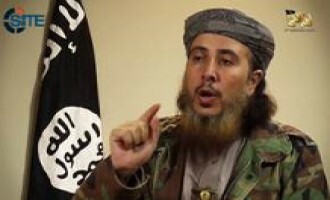 A prominent jihadist claimed that the Shabaab al-Mujahideen Movement rejected an attempt by representatives of the Islamic State (IS) to buy its pledge of allegiance. 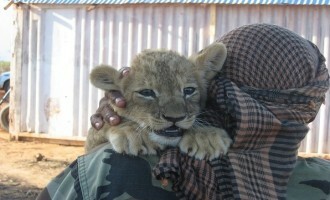 Al-Qaeda's branch in Somalia, the Shabaab al-Mujahideen Movement, released a video on its June 2013 suicide raid at the United Nations Common Compound (UNCC) in the capital, Mogadishu, and described the UN as a "satanic force of evil". 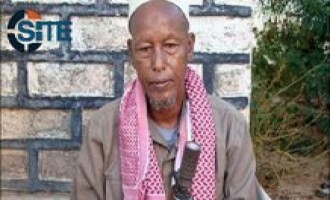 The Brigades of Abdullah Azzam gave condolences to Muslims, to al-Qaeda and its commanders and branches, and to the Shabaab al-Mujahideen Movement for the killing of its former leader, Mukhtar Abu al-Zubeir (AKA Ahmed Abdi Godane). Ansar al-Shariah in Tunisia offered its condolences to the Shabaab al-Mujahideen Movement, al-Qaeda's branch in Somalia, for the death of its leader in a U.S. airstrike, and urged Shabaab fighters to take revenge. 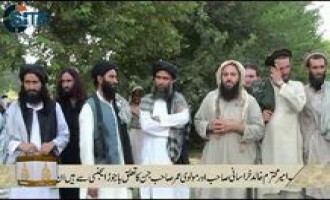 The splinter group from Tehrik-e-Taliban Pakistan (TTP) Jamat-ul-Ahrar offered condolences to the Shabaab al-Mujahideen Movement for the death of its former leader, Mukhtar Abu al-Zubeir (AKA Ahmed Abdi Godane). 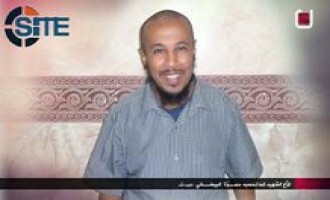 Al-Qaeda in the Arabian Peninsula (AQAP) gave a eulogy for former Shabaab al-Mujahideen Movement leader Mukhtar Abu al-Zubeir (AKA Ahmed Abdi Godane), who was killed in a U.S. drone strike. The military command of al-Qaeda's branch in Somalia, the Shabaab al-Mujahideen Movement, pledged allegiance to its new leader, Ahmad Umar, after its former leader was killed in a U.S. drone strike. 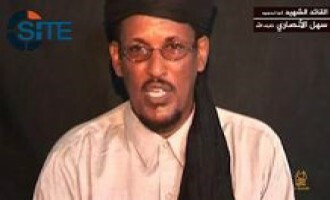 The Shabaab al-Mujahideen Movement confirmed the death of its leader, Mukhtar Abu al-Zubeir (AKA Ahmed Abdi Godane), and appointed a successor, and also renewed its pledge of allegiance to al-Qaeda leader Ayman al-Zawahiri. 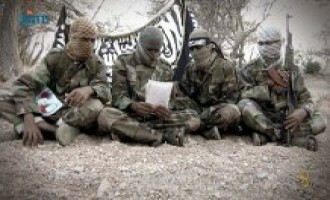 Al-Qaeda’s branch in Somalia, the Shabaab al-Mujahideen Movement, released a video showing Qur’an memorization competitions between its fighters in 2012 and 2013. 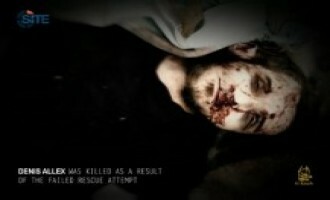 The Shabaab al-Mujahideen Movement released a documentary-style video on the French raid to free Denis Allex in Somalia in January 2013, featuring a confession by the spy involved in the operation, and showing the deceased body of Allex. 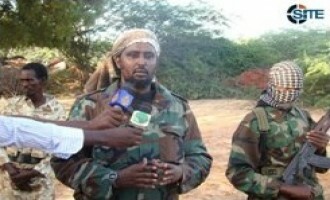 Ali Muhammad Hussein (AKA Ali Jabal), the "governor" of the Shabaab al-Mujahideen Movement for Somalia's Banaadir province, which includes Mogadishu, stated in an interview that the UN is an "idol that must be destroyed" and that Turks are among the group's targets after AMISOM. 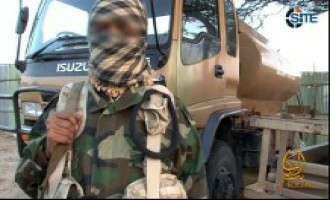 The Shabaab al-Mujahideen Movement claimed credit for the bombings in Djibouti on May 25, 2014, and indicated that French officers were the primary target due to "heinous crimes" by France against Muslims in Africa and the Central African Republic (CAR) in particular. 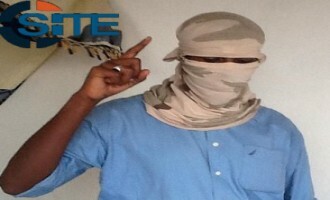 Al-Qaeda's branch in Somalia, the Shabaab al-Mujahideen Movement, called for Western youth to join the organization or carry out lone wolf attacks in the fifth entry into their Mujahideen Moments video series. The Shabaab al-Mujahideen Movement promoted the September 2013 raid on the Westgate shopping mall in Nairobi and threatened additional attacks in Kenya, claiming that there are "hundreds of men who are wishing for such an operation." 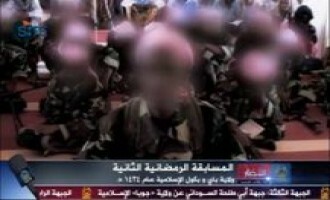 The Shabaab al-Mujahideen Movement released a video on its August 7, 2013, raid on the city of Afmadow in Somalia's Juba region, and presented brief biographies of three fighters who were killed during the operation. 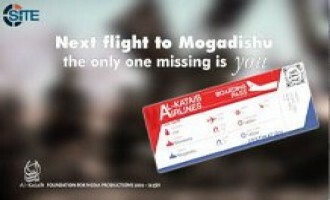 Shahada News Agency, a Somalia-focused jihadi media group, reported that the Shabaab al-Mujahideen Movement claimed credit for a mortar bombardment on Kismayo Airport during the landing of a plane carrying a UN delegation. Shahada News Agency, a Somalia-focused jihadi media group, reported on two suicide bombings by the Shabaab al-Mujahideen Movement, one of which allegedly killed 5 American military officers outside the capital, Mogadishu. 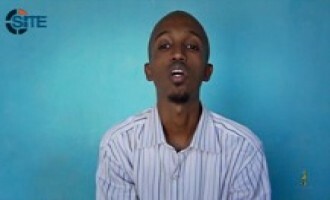 Shabaab Fighter Threatens Attack to "Eclipse the Horrors of Westgate"
The Shabaab al-Mujahideen Movement, al-Qaeda's branch in Somalia, released the third episode in its "Mujahideen Moments" video series, featuring Kenyan, Somali, and Tanzanian fighters, including a Kenyan fighter who threatened an attack that will "eclipse the horrors of Westgate." A jihadi in Somalia penned an essay outlining the radicalization process of Western jihadis, and explaining what brought him to embrace the al-Qaeda ideology. 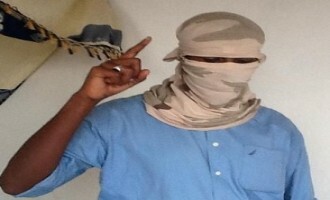 Shahada News Agency, a Somalia-focused jihadi media group, reported on an operation by the Shabaab al-Mujahideen Movement inside the presidential palace in Mogadishu, and publicized the conversion to Islam of two Kenyan captives. The al-Qaeda-affiliated Shabaab al-Mujahideen Movement claimed attacks on AMISOM, Djiboutian, Ethiopian, Kenyan, and Somali forces in four communiqués issued to jihadi forums. 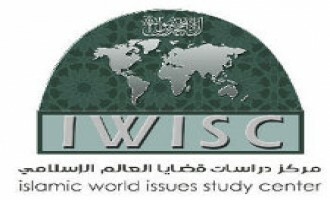 The Islamic World Issues Study Center (IWISC) published a message from a jihadist in Somalia lamenting that al-Qaeda disavowed itself of the Islamic State in Iraq and the Levant (ISIL) but not the Shabaab al-Mujahideen Movement. 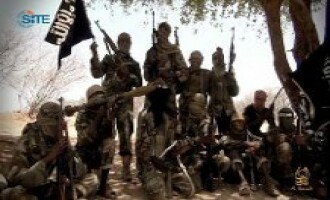 A jihadist demanded that Mukhtar Abu al-Zubeir, the leader of the Shabaab al-Mujahideen Movement, reveal the fate of eight jihadi officials and fighters who are allegedly imprisoned by the group, including one who lived in America in 1999. The Shabaab al-Mujahideen Movement released the second episode in their "Mujahideen Moments" video series, featuring jihadi chants threatening current and former leaders of Kenya and calling for participation in jihad. The Shabaab al-Mujahideen Movement eulogized five commanders who were active in the central Somali regions of Galguduud and Hiran in the fourth installment of the "The Deal Was Successful" video series. 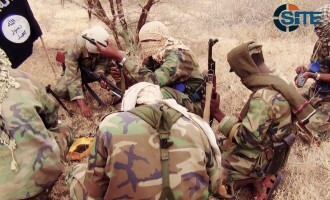 The Shabaab al-Mujahideen Movement claimed ambushing a convoy carrying Kenyan military officers between Garissa and Liboi in Kenya, and in Somalia, claimed attacks on Kenyan, Ethiopian, and Somali forces and AMISOM "Crusaders," including a strike in Puntland. 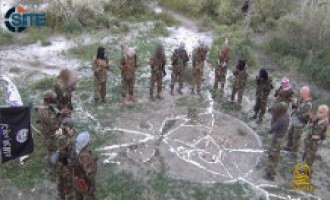 The Shabaab al-Mujahideen Movement claimed eleven attacks in three days in Somalia - November 30, 2013, and December 2-3 - targeting Djiboutian and Somali forces and AMISOM "Crusaders". The reports came in three communiqués issued on jihadi forums on January 11, 2014. 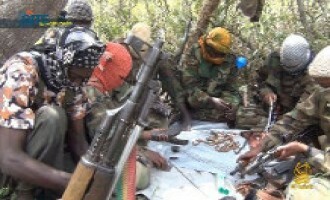 According to the messages, Shabaab fighters detonated explosives, threw hand grenades, and launched raids on bases and gatherings of enemy forces and a Somali government official in Banaadir, Bay, Bakool, Gedo, Hiran, Juba, and Lower Shabelle regions of the country. 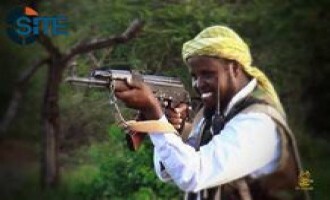 Among its attacks, the Shabaab said it attacked bases of Djiboutian forces and Somali militias in the city of Beledweyne in Hiran region on November 30; assassinated a judge in Mogadishu on November 30; and threw hand grenades at gatherings of "apostates" in the city of Afgoye in Islamic Lower Shabelle on December 3. The Shabaab al-Mujahideen claimed multiple strikes on Djiboutian forces in Somalia's Hiran region, including a suicide attack, and reported on dozens of operations on Kenyan and Somali soldiers from November 10-29, 2013. The Shabaab al-Mujahideen Movement claimed 36 attacks on Djiboutian, Ethiopian, Kenyan, Sierra Leonean, and Somali forces in Somalia from October 29-November 8, 2013, and also reported on its appointing a new governor for Bay and Bakool.